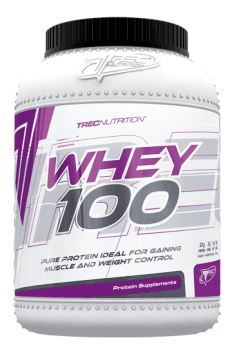 Protein better before or after training? In the study of Brad Schoenfeld et al 1 21 men (age = 22.9 ± 3.0 years, height = 175.5 ± 5.9 cms, body weight = 82.9 ± 13.6 kg), matched in terms of performance in squats with barbell and bench press. For 10 weeks, 3x a week, gentlemen pursued the same strength program, 3 sets of 8-12 repetitions of each of 9 exercises, with an intensity of 75% of the maximum weight (male performance before the experiment was estimated). A 2-second eccentric phase was used as well as a 90-second break between exercise series. Men had over a year of experience in strength training. There were no differences when administering proteins before or after training. The effect in terms of weight gain was moderate, because the amount of kcal delivered was too small (~ 2220 kcal per day in the protein supply group after training). It should be remembered that without a caloric surplus it is difficult to achieve progress in the development of muscle mass. The protein allows you to maintain muscle mass during a negative caloric balance, but we also need energy sources to build the mass.